DONALD WALTER COLLINS Passed away peacefully but suddenly at home on Sunday, May 28, 2017 at the age of 85. Lovingly predeceased by his wife Patricia (nee O'Sullivan); and parents, Harry and Teenie Collins; mourned by his children, Cathy Faulkner, Don (Paul Hickey), and Joanne Warkentin (James) and grandchildren, Joshua and Jordan Faulkner, Rebecca and Thomas Warkentin and many nieces and nephews. Dad was born and spent his life in Norwood and St.Vital. 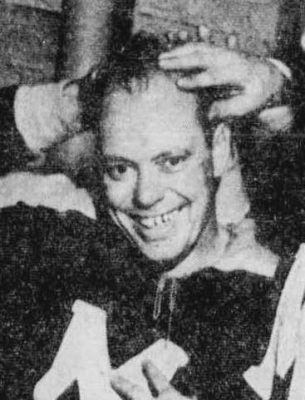 A devoted sports fan, his youth was spent on the ball diamond with the St. Boniface Native Sons and in goal for the Winnipeg Monarchs and Maroons hockey clubs. The adventures included an Allen Cup victory and international tournaments as de facto Team Canada culminating in playing the Russian National team in 1965. His passion for the game continued into his later years by creating goal masks for up and coming North American and European goal keepers and such notables as Gilles Villemure. These games and experiences with the teams brought him great joy and years of loved stories shared with family and team mates. Never one to boast about his own role on the team Dad shared the wisdom of the team experience and the importance of being a contributor. Dad spent his career at CN Rail retiring happily at age 55 and enjoyed a long retirement of travel, great walks on the golf course, and even the occasional great game. His life was marked by strong family ties and friendships which were important to him. From decades of Saturday "meetings" with the boys at the Norwood hotel or the legion to regular CN luncheons and the Thursday morning breakfasts with the St. Vital guys, Dad's connections to friends was a priority. He valued and maintained the circle of friendship across provinces and the connections back to the Norwood days. He was known to love a good debate and never shied away from sharing his opinions. We'll miss those great discussions. Cremation has taken place and at Dad's request there will not be a service. and enjoy Don's reflections on his hockey career.